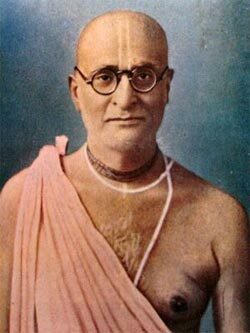 Bhaktisiddhanta Saraswati Thakura (1874–1936) was the spiritual master of A. C. Bhaktivedanta Swami Prabhupada. He was a lifelong celibate and a influential teacher of bhakti all over India. By all historical accounts, he was extremely intelligent and excelled in math, astronomy, Sanskrit, and other languages. 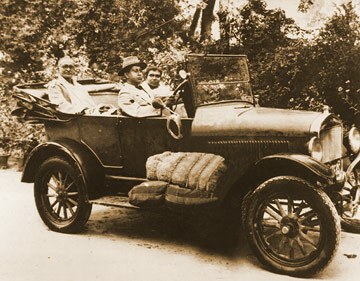 The University of Calcutta offered him a chair, but he declined so that he could dedicate his life to continuing the spiritual work of his father, Bhaktivinoda Thakura. Followers of Srila Prabhupada observe this day by fasting until noon, then feasting. Amrta Vani, Nectar of Instructions for Immortality—a compilation of all the instructions of Srila Bhaktisiddhanta Sarasvati Thakur. Sri Brahma Samhita—translation and commentary of Lord Brahma's prayers to Krishna at the beginning of creation.